I have been telling people that I have given up on blogging—because almost nobody reads this blog—and started to contribute my writing efforts to Wikipedia, where what I can do is occasionally useful. And that IS more or less what I have been doing this year. 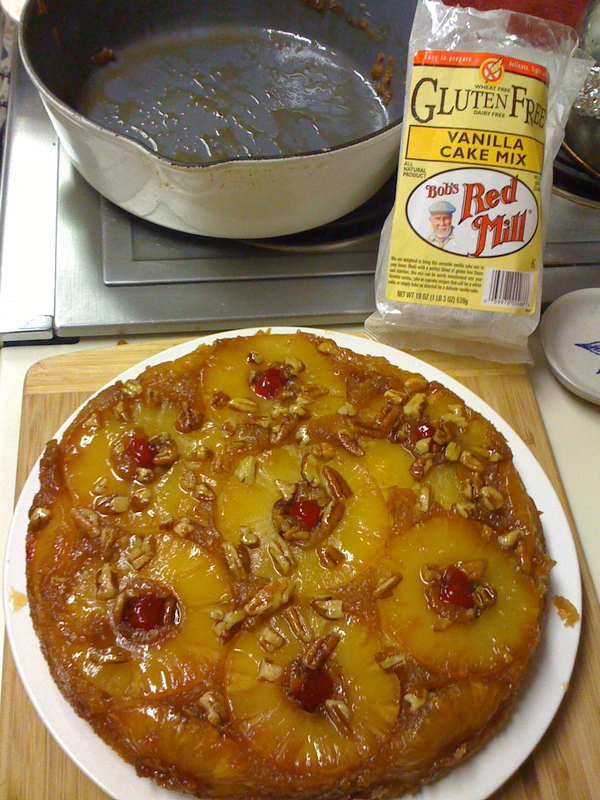 However, tonight, with relatively little effort, I produced from the same batch, one very beautiful (I daresay, perfect) gluten-free pineapple upside-down cake (for dinner tomorrow) and six gluten-free blueberry muffins (for breakfast tomorrow). And I just have to tell you how I did that, and of course brag just a little. I came up eager to tell Stephen that I had missed my calling (as a chef), but he was already snoozing. So . . . finally, ‘nother blog entry.